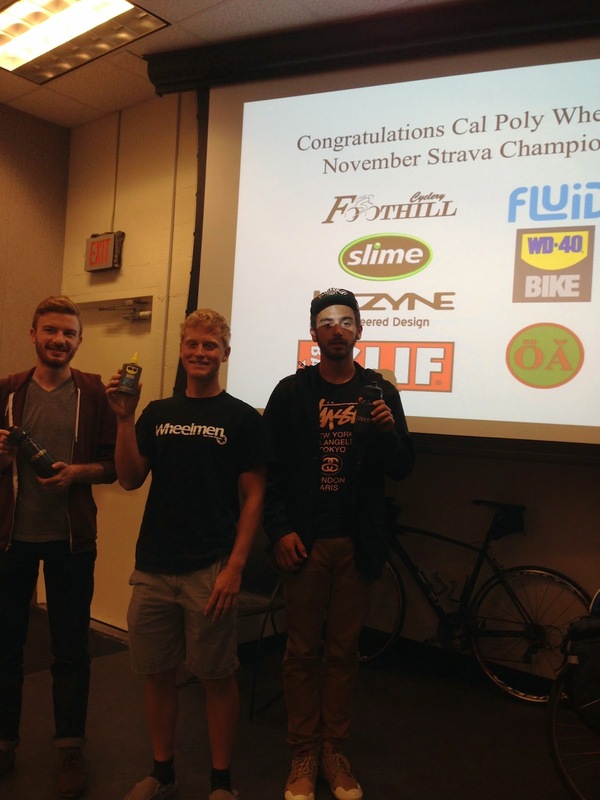 At its Wednesday evening meeting, the Cal Poly San Luis Obispo Wheelmen cycling team crowned its November Strava champions. Jonathan Schmidt and Julia Mace were repeat champions, for the male and female categories. 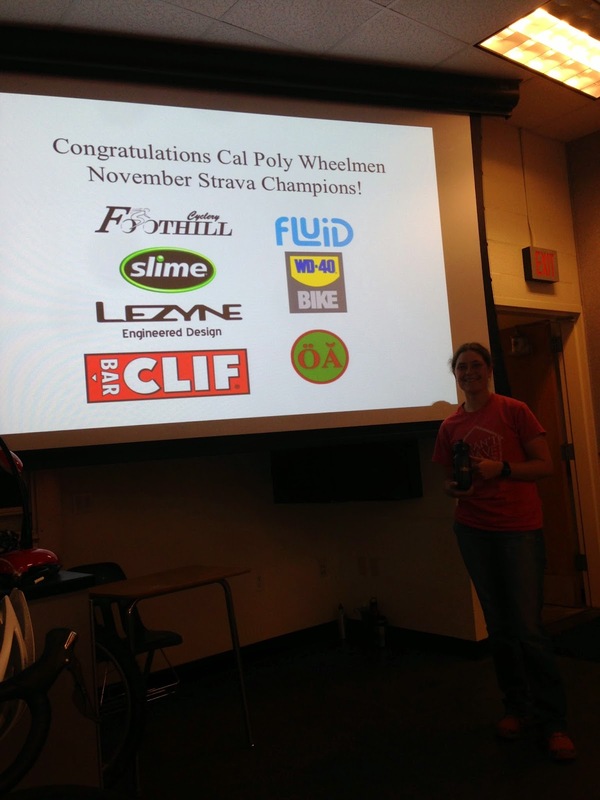 Foothill Cyclery and WD-40, both official Wheelmen sponsors, provided neat awards for the winners and top-three places, in both the male and female categories. 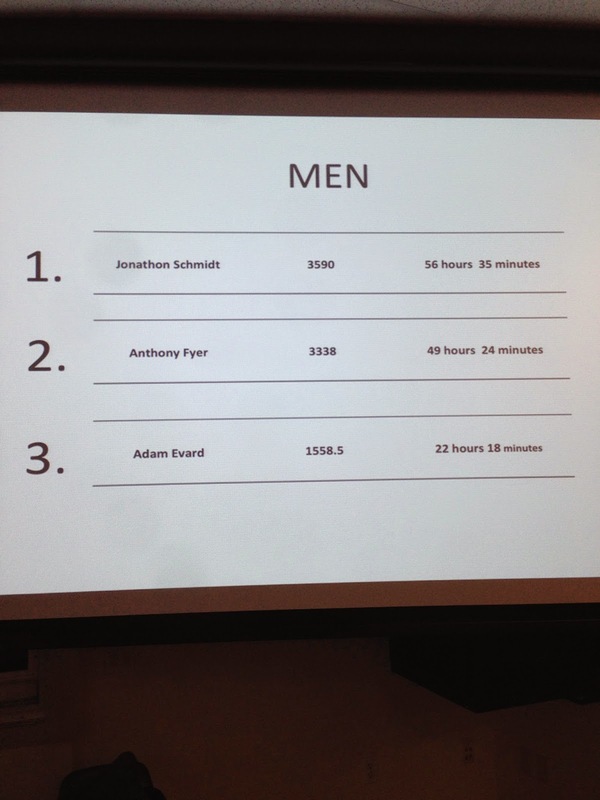 Adam Evard, Jonathan Schmidt, and Anthony Fryer. Adam O'Camb and Kyle Huerman were the most improved riders, from October to November. 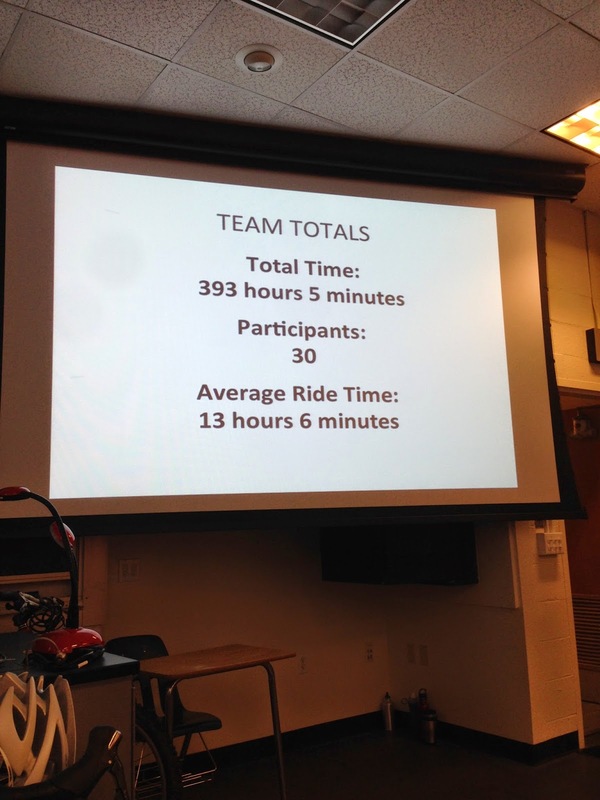 Throughout the month of November, the Wheelmen compiled impressive team totals. At the meeting, lofty goals were set for the upcoming months. The Wheelmen Strava challenge is a new concept for the 2014-15 academic school year. It encourages cycling, both on a social and competitive basis. 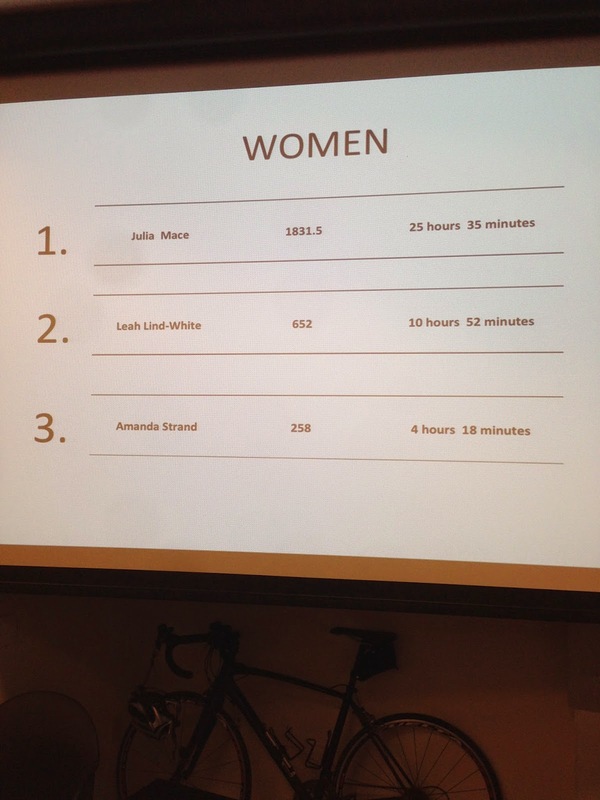 Riders were awarded points based on ride time, group riding, and racing. Both group riding and racing provided extra points.